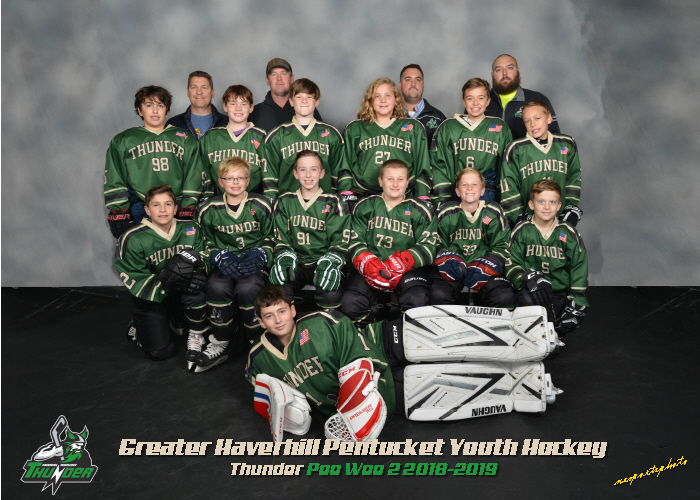 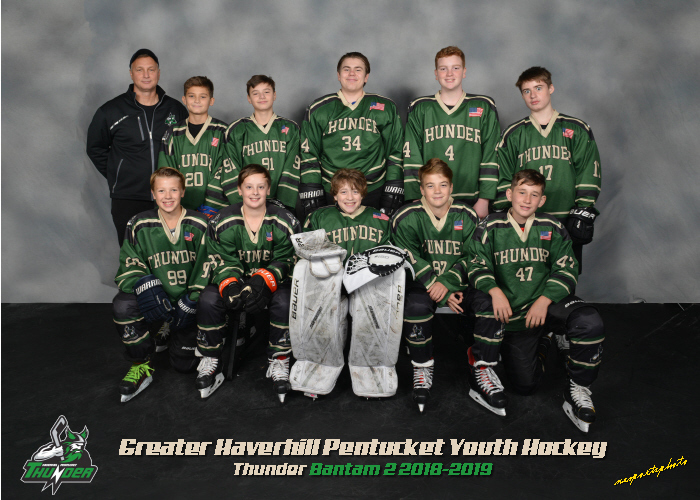 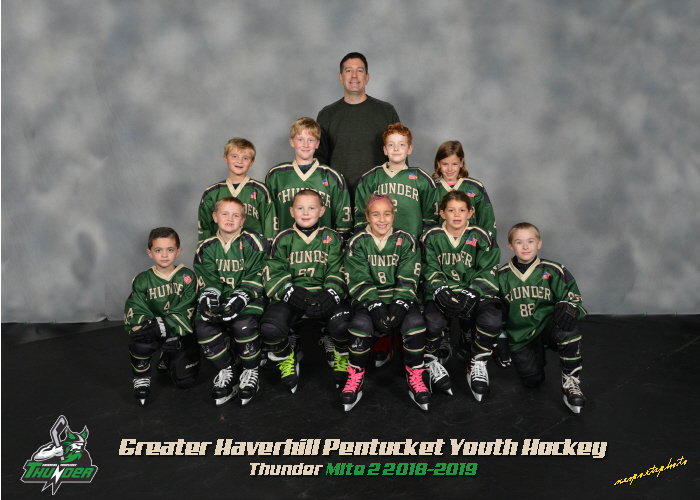 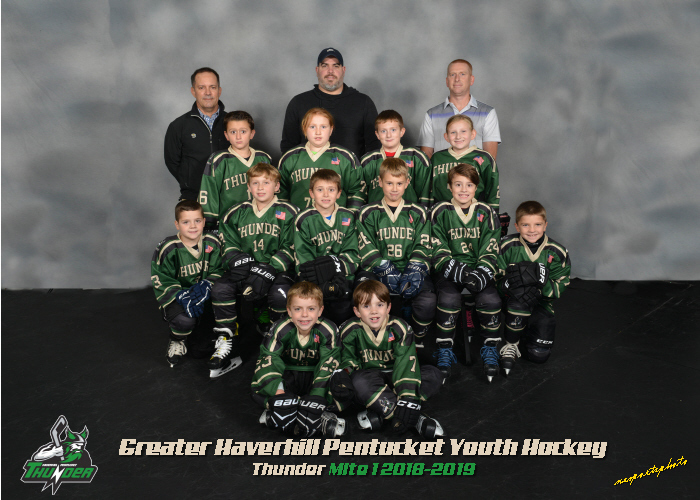 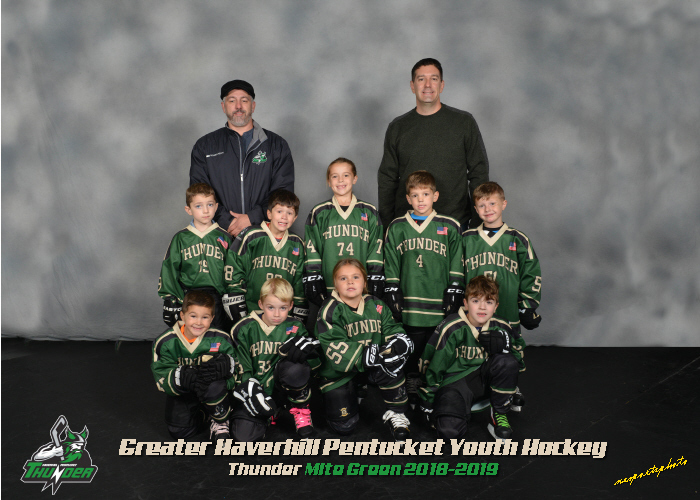 The mission of the Greater Haverhill / Pentucket Youth Hockey Program is to administer and maintain a not-for-profit organization designed to support inter-league competition in the sport of hockey. 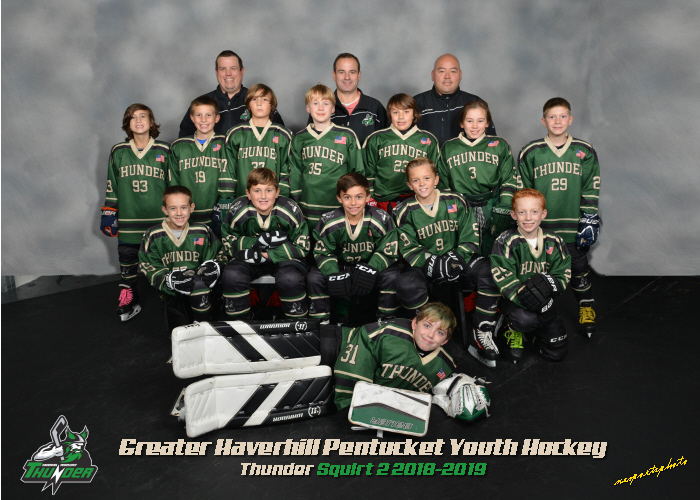 It is our objective to foster good sportsmanship, discipline and teamwork through the execution of structured programs. 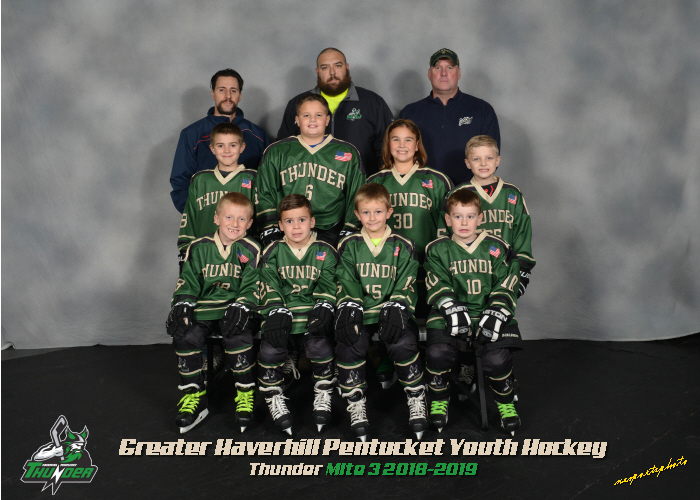 We will provide for a positive learning experience geared towards developing the fundamental knowledge and athletic ability of our players. 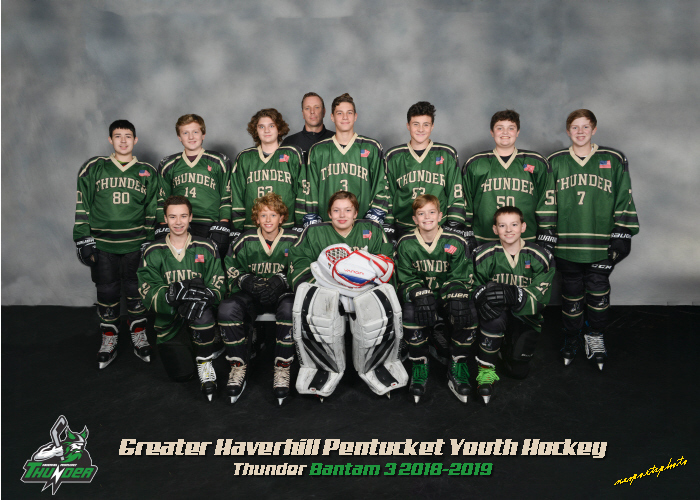 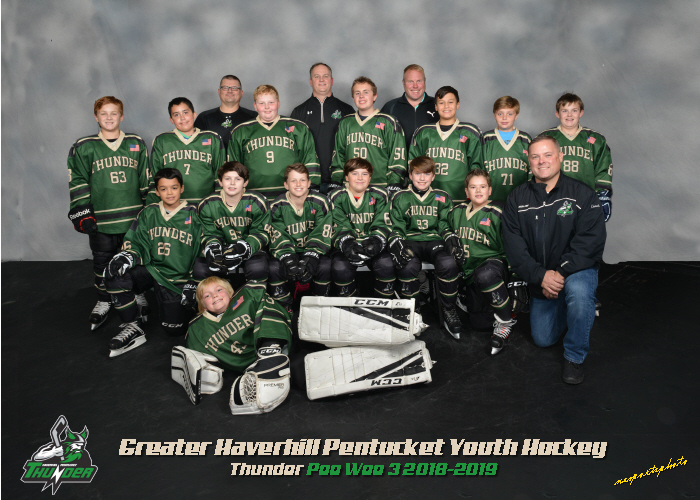 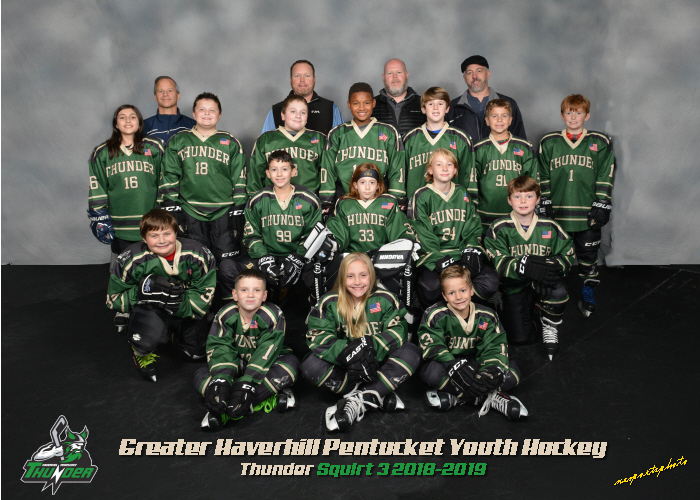 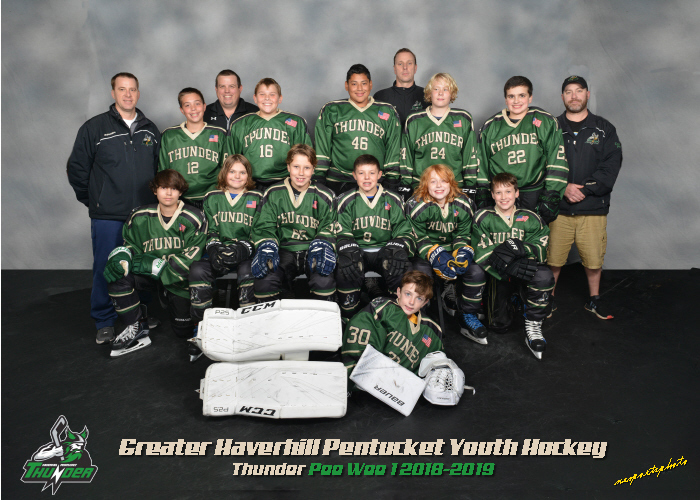 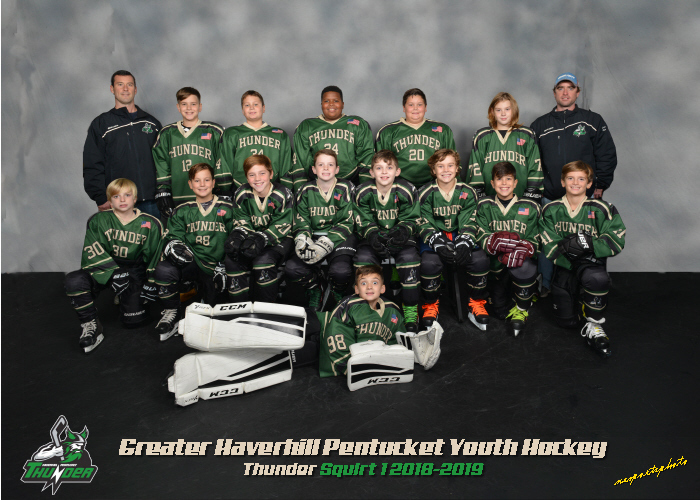 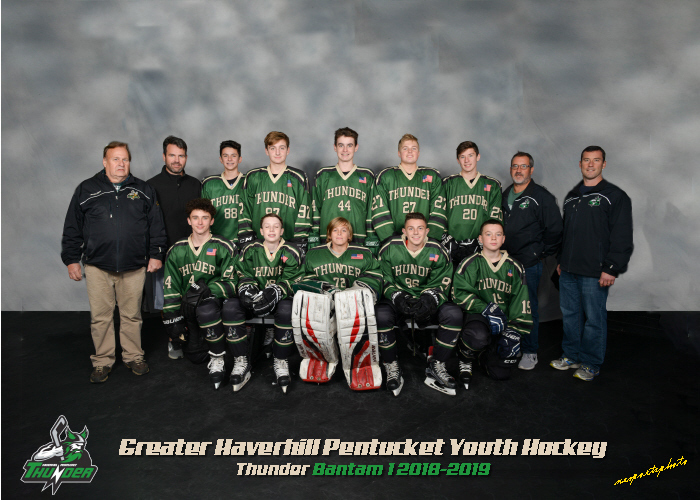 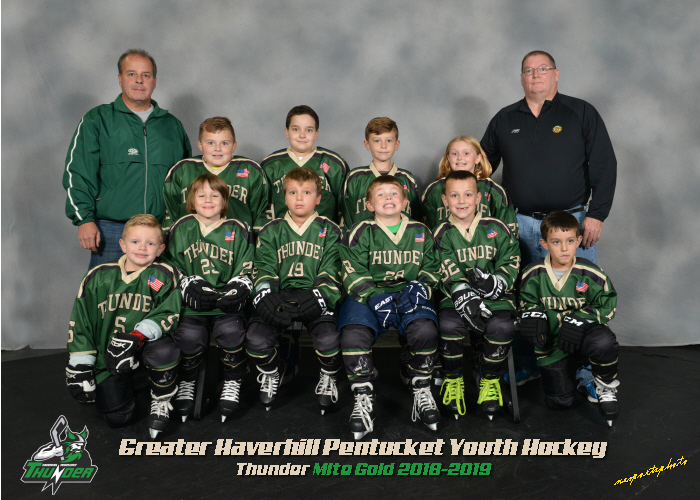 Your 2018-19 Greater Haverhill Pentucket Thunder!